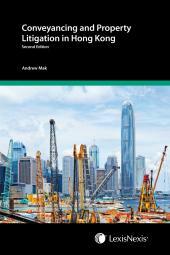 The eighth edition of Hong Kong Conveyancing Law focuses on Small House Policy concerns, contract matters, remedies on default, equitable interests and remedies, “irregular” interests, anti-money laundering, and companies and conveyancing transactions. Certain conveyancing solicitors, estate agents, and accountants (who handle clients’ money, or act in the sale and purchase of property, or similar activities) are now subject to the Anti-Money Laundering and Terrorist Financing (Financial Institutions) Ordinance. This Ordinance imposes criminal sanctions on default; a matter that goes far beyond the possible disciplinary results of breaches of Practice Direction P.
Judith Sihombing was formerly an Associate Professor in law at the University of Hong Kong. She combines 25 years of academic experience with five years’ practice as a solicitor in Victoria. She was formerly the Training and Professional Support Manager at Simmons & Simmons, Solicitors, Hong Kong. Judith is a member of the Standing Committee on standardisation of mortgage and guarantee documents of the Hong Kong Mortgage Corporation Ltd, and a member of the Law Society Core group of the Working Party on Land Titles, and of the Land Registrar’s Committee on the implementation of the Land Titles Ordinance. She has had extensive experience in presenting seminars and conferences including ‘The Judith Sihombing Malaysian Land Law Series’, ‘Drafting a Commercial Document’, ‘Remedies for the Breach of Contract for the Sale of Land’, and ‘Recent Developments in Mortgages’. 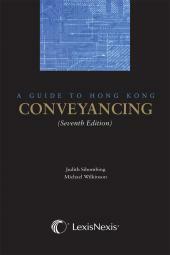 In addition, Judith has authored books and articles on property law in Hong Kong and Malaysia, and on commercial law including co-authoring the eleven-volume Hong Kong Conveyancing: Law and Practice service. She is currently teaching at the Faculty of Law at the Chinese University of Hong Kong. Michael Wilkinson obtained his undergraduate and masters’ degrees from Cambridge University. Having worked in academia in England and Africa he came to Hong Kong in 1983 and served as Head of the Department of Professional Legal Education at The University of Hong Kong for 13 years and Chairman of the Board of the Law Faculty for 8 years. He was a member of the Chief Justice’s Working Party on Civil Justice Reform and a member of the Law Reform Commission. When he reached the ripe old age of 70, he technically ‘retired’ but was appointed Adjunct Professor and continues to teach his full teaching load. He has also served the University as its Public Orator for the last seven years, a position that he continues to hold. 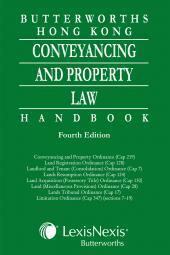 He has written many books including Hong Kong Conveyancing Law and Practice and Cases and Materials (with Judith Sihombing) in 11 looseleaf volumes, The Professional Conduct of Lawyers in Hong Kong (with Michael Sandor) in five looseleaf volumes, Halsbury’s Civil Procedure (in four volumes), Advocacy and the Litigation Process (three editions, the last with Vandana Rajwani and Ray Pierce) and A Guide to Hong Kong Conveyancing (with Judith Sihombing) which went into its seventh edition in 2014. He loves his work and his students and refuses to stop.